The blog entry by St. Thomas Guild, linked above, includes a lot of other information, particularly on woodworking tools from medieval Novgorod, so I recommend checking out the blog entry on their site. 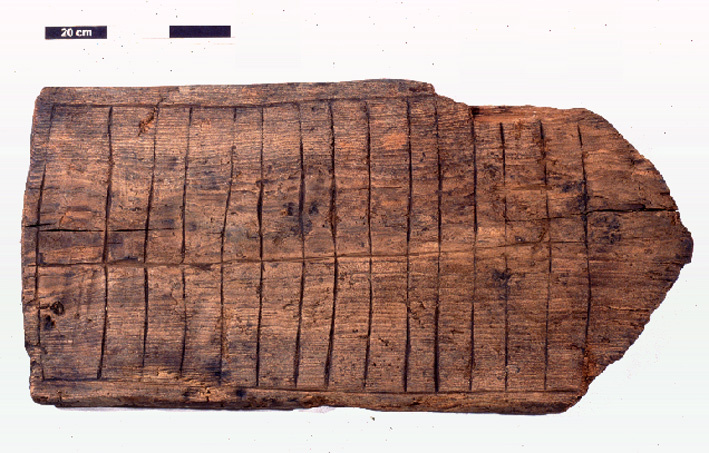 That being said, I want to focus on the incised spruce gaming board they found, dating from 13th-14th century Novgorod. This board shows markings for two different games on its two sides, one of these being nine men morris. What was the other game? 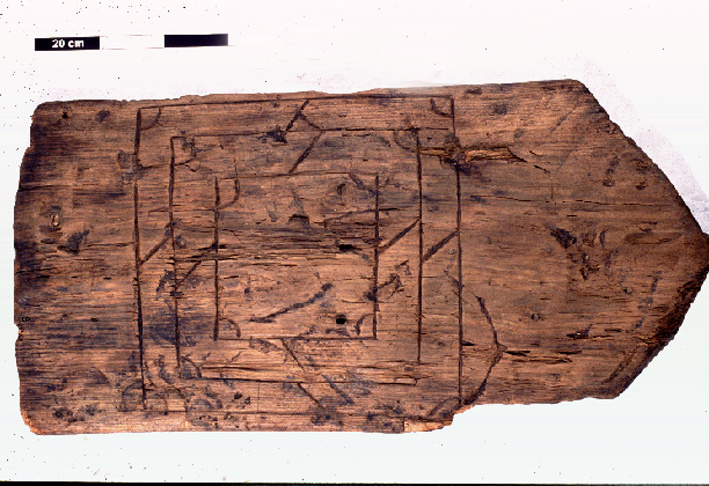 This game board looks similar to one found incised into an oak barrel lid aboard Mary Rose, an English warship which sailed 1512-1545. 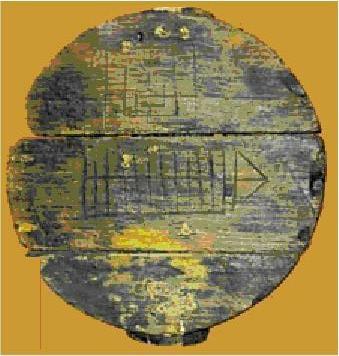 The gaming board found aboard Mary Rose includes nine men morris and another game, thought to be a Nordic game called daldøs. The second game on the Novgorod board is similar, but not quite the same. It has two rows of fourteen narrow rectangular cells. The Mary Rose board has two rows of thirteen similarly shaped cells, though the thirteenth cells are triangular.